How much money is due to book a reservation online? To book a standard reservation we collect 50% and then the balance due 7 days prior to check-in. When you book online it will take a $100 payment that we will apply to the 50% due and charge the credit card on file. To learn more click on the orange button on the home page that says “How to Book a Reservation”. It is a short video that explains how to navigate our website and book a reservation online. 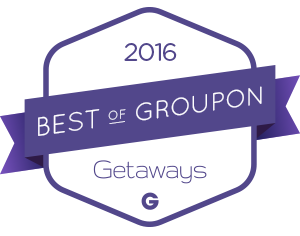 How do I book a reservation with a discount voucher? When booking online there will be a “Promo Code” field where you can enter your discount voucher information. Disregard the standard pricing that shows....you will not be charged that amount. It will take a $100 payment that will be applied to the taxes and cleaning fee. To learn more click on the orange button on the home page that says “How to Book a Reservation”. It is a short video that explains how to navigate our website and book a reservation online. If I am combining vouchers for multiple nights, do we only pay the cleaning fee only once? Yes, you would only be charged the cleaning fee once if you are combining vouchers for consecutive nights. Do we have to pay the cleaning fee if we clean the property ourselves? Yes. We have a cleaning company that comes in after every guest visit to clean each property. Where are your properties located in Lake Arrowhead? 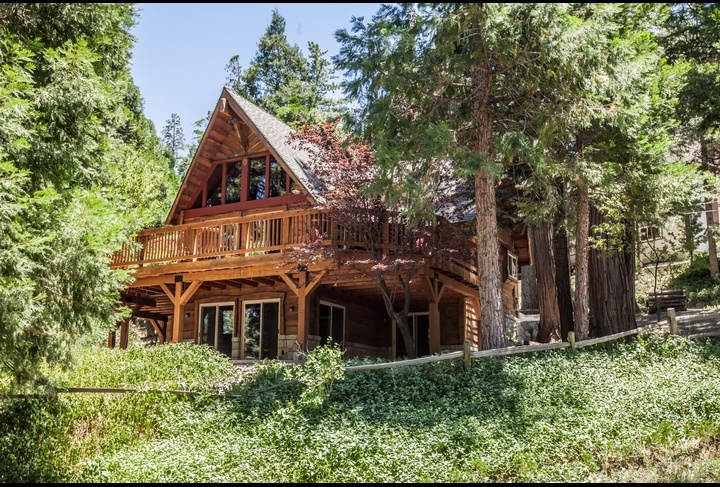 All of our cabins are individual homes that are located in different areas throughout Lake Arrowhead and Running Springs. On each property page there is a “Map” button on the upper left side that will show you the exact location of that property. To view the location of all of our properties at once, on the “Properties” tab, you can select Map view instead of list or thumbnail. Watch the “How to Book a Reservation” video to learn more. 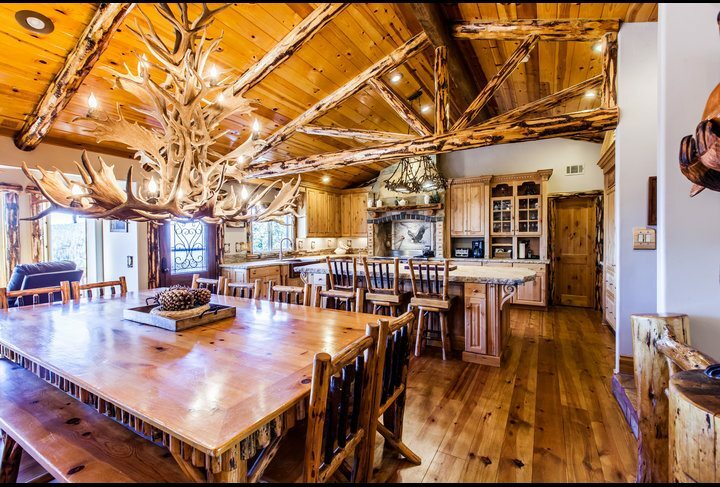 If we have a large group and want to rent more than one cabin, are any of them close together? Yes...we do have several properties that are walking distance from each other. We also have 2 cabins that are right next door to each other. Please click on map view under the properties tab to zoom in and out. You can also contact us for more details. What is the maximum number of guests that can stay in a cabin? The maximum number of guests is 10 per property. There is a San Bernardino County Code Enforcement law that limits the maximum number of guest at ALL short-term rentals to 10 per property. Children under the age of 2 don't count toward the total guest count. After we book a reservation, when will we get the property address and keys? Approximately 7 days prior to check-in, we will email you the pre-arrival information that includes the address, directions and codes to the front door and alarm, if there is one. All of our cabins have a keyless entry system or a lockbox, so you don't have to pick up the keys at an office or meet anyone at the property. No...we provide bedding and towels in each of our properties. In Summer, many guests bring beach towels for the lake and in Winter, many bring heavier comforters and throw blankets for watching TV, reading, etc. We provide a starter amount of toilet paper, roll of paper towels and several trash bags. Please bring more based on the size of your group or length of your stay. All of our kitchens are stocked with the basics...plates, bowls, utensils, glasses, pots and pans, coffee maker (with filters for ground coffee), blender, etc. Feel free to contact us if you have specific questions about certain items in the kitchen. We do have a concierge service if you want us to stock the kitchen with groceries prior to your arrival. Just let us know at least 7 days in advance of your stay. Yes, all of our properties have wireless internet and there is no charge. The name and the password for the wireless internet is in the property binder onsite. Yes, all of our properties have BBQ's provided for your use. Check the property description page to see what type of BBQ is provided. If it is a propane BBQ, the propane tank is provided. Charcoal use or outdoor fires are prohibited at all cabins. Check-in is 4:00 p.m. and check-out is 11:00 a.m. We can rarely make exceptions to these times due to our cleaning crew's schedule. Any changes to these times would require prior approval. We allow pets in the majority of our properties, with a $75 pet fee. The property description will state if we don't allow pets in that specific property. If you are booking a pet-friendly property, there will be a checkbox shown while entering your reservation information as an option. Please let us know at the time of booking your if you wish to bring a pet. We do not allow pets in the Antler Lodge, Arctic Lodge, Eagles Landing, Nestled Inn, Tavern Bay Lodge, or West Shore Lodge. Does the property have heat? Yes, all of our properties have heat with a controllable thermostat. Does the property have air conditioning? The majority of our properties do not have air conditioning. Very few properties have air conditioning in Lake Arrowhead. We do provide fans to help circulate air during the summer months when it can get warm. The Eagles Nest Lodge has wall mounted AC units on both levels. The Yellowstone Lodge has a wall mounted AC unit on the upper level and the Lakeview Lodge has a wall mounted AC unit on the main level. The Oak Tree Lake House has central AC. Does the property have a DVD player? Yes, we provide a BluRay DVD player in all of our properties. Does the property have a fireplace? Almost all of our properties have wood-burning fireplaces. Please check each property page on our website to see photos and descriptions of the fireplaces available in each property. Do your properties have a hot tub? Our portfolio of properties is changing on a regular basis. Please check each property profile page to see if there is a hot tub. Do you allow outdoor fires in fire pits? No, we do not allow any outdoor fires in fire pits...it is illegal and a major risk to a forest fire. Yes, we provide a bundle of firewood for your use. Feel free to bring more or we can provide more for a nominal charge...just let us know. Firewood bundles can be purchased at many local grocery, convenience or hardware stores. 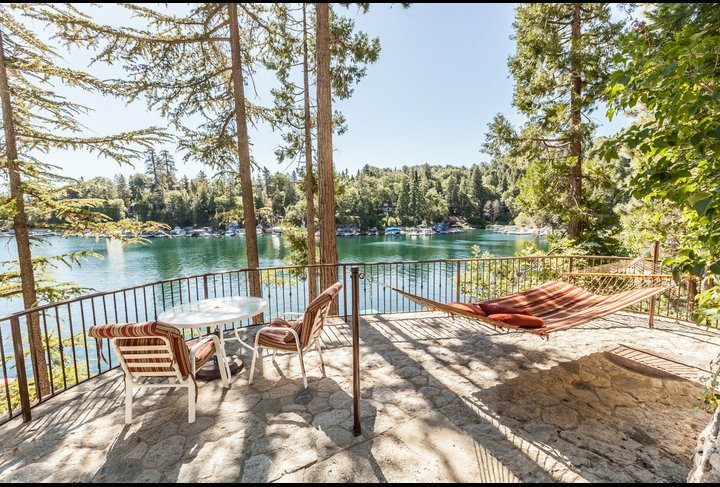 Similar to fishing, swimming in Lake Arrowhead is limited to the owners of property in the "Arrowhead Woods" and their guests. Some of our properties are located in the Arrowhead Woods and we do have Arrowhead Lake Association (ALA) passes giving you access to the 2 private beach clubs at the lake...the Burnt Mill Beach Club and the Tavern Bay Beach Club. The two beach clubs are officially open from Memorial Day weekend to Labor Day weekend. You can still access the beaches year round with the beach club passes. Our properties that are in the Arrowhead Woods state in the property description on our website that they include a ALA beach club cards that gives you access to the 2 private beach clubs, the ALA hiking trails around the lake and allows you to fish at Lake Arrowhead as our guest. Not all of our properties have these passes included. Here is the list of properties that come with the passes: Amador Lodge, Antler Lodge, Arctic Lodge, Arrowhead Chalet, Cedarwood Lodge, Eagles Landing, Eagles Nest Lodge, Emerald Lodge, Grass Valley Lodge, Honey Bear Lodge, Lakeview Lodge, Lake View Tree House, Long Bar Lodge, Meadow Ridge Lodge, North Bay Lakefront Lodge, Rainbow Trout Lodge, Skyview Lodge, Sunset Lodge, Tavern Bay Lodge, Village Chalet, West Shore Lodge, Wildflower Lodge, Yellowstone Lodge and Yosemite Lodge. What activities are there to do at Lake Arrowhead? There are many activities to enjoy in Lake Arrowhead. We have a "local info" tab on our website ... it has lots of great information about activities in Lake Arrowhead and the surrounding areas. Can we rent a paddle board at Lake Arrowhead? Yes...you can rent paddle boards at the Marina or at the Wake and Wheel sport shop in Blue Jay Village if you have a beach club pass to access the lake. I've never been to Lake Arrowhead - can you tell me more about the area? Yes! We have a list of some of our favorite dining areas in the binder that we leave in each of our properties. You can also click on the "Restaurants" tab on our homepage or the Dining link under the "Local Info" tab to see a listing of some local restaurants. If using a discount voucher, there are no refunds for cancellations. For all other reservations, a sixty (60) day notice is required. Cancellations that are made more than sixty (60) days prior to the arrival date will incur no penalty other than the credit card fees that were incurred. Cancellations that are made within 60 days of the arrival date, will forfeit the 50% reservation deposit unless the cabin is rented again to another party for the same dates. If a credit card is used, any credit processing fee % will be deducted from refund. Cancellations within 7 days of reservation are 100% non-refundable. Cancellations for reservations during the major holidays are non-refundable. These include Thanksgiving weekend, Winter Holiday (December 19 - Jan 4), MLK weekend, President's Day weekend, Memorial Day weekend, 4th of July and Labor Day weekend. Reservations cannot be rescheduled without 30 day notice prior to check-in and a $50 rescheduling fee applies.